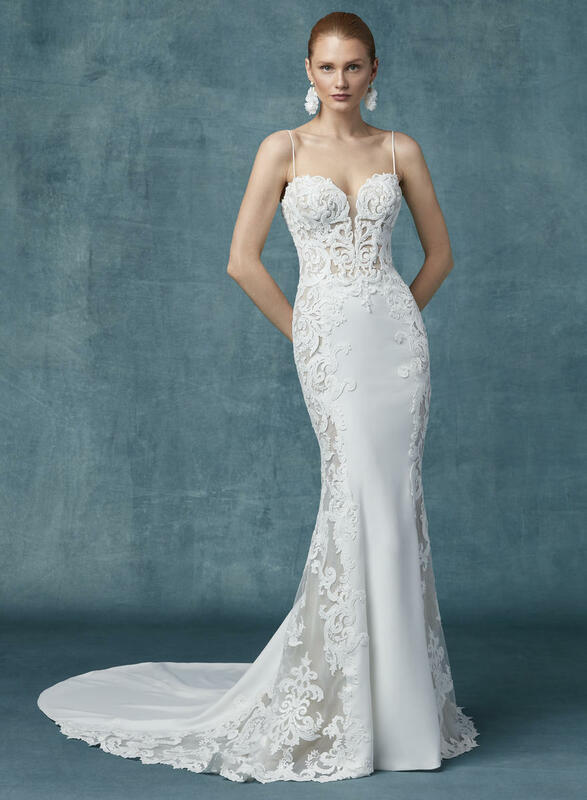 Romantic lace motifs drift over the sheer bodice and sheer side panels in this sheath wedding dress, a lovely contrast to the Yolivia crepe skirt. 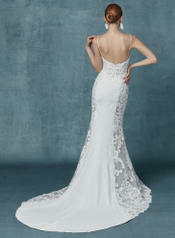 Spaghetti straps and beaded lace motifs accent the illusion plunging sweetheart neckline. Finished with zipper closure.